We are at the 'Sam's Club' bbq competition and have a little spare time until awards ceremony. 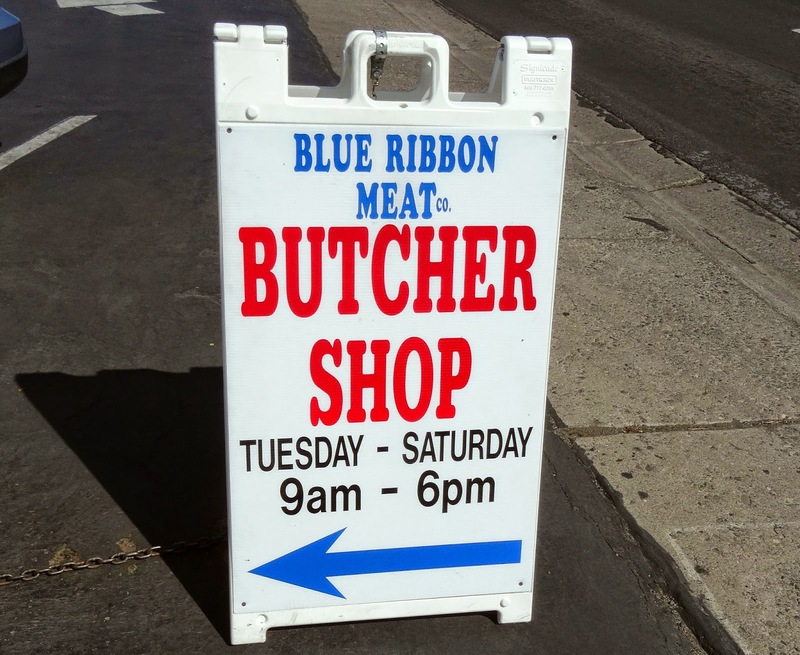 Working on a hot tip from our friend 'The Great White Hunter', we embark on a mini Meat Adventure to 'Blue Ribbon Meat & Butcher Shop. Blue Ribbon is located several blocks from the casino area. We roll the dice and enter this new meat emporium. The outside of Blue Ribbon is pretty plain except for a couple of signs. Tinted windows hide from view the meats to come. Once inside we are greeted by a familiar site of refrigerator and freezer cases displaying our journeys purpose. I gravitate towards the beef section to survey the offerings. Good looking Choice Grade beef is offered. I ask for the biggest boneless rib-eye they have. At $12.99/pound, my steak cost me a Jackson. With our steak purchase out of the way, we had so many more choices to make. House made sausage in the freezer case had many choices; Jalapeno, cheese, Italian, Polish, and many more. There was a section that offered prepared meats like rolled roasts, stuffed pork chops and some very large bacon wrapped jalapeno poppers. We could not resist the chops and poppers. We noticed that bulk meat was offered for sale. This market had something for everyone.Our portable ice cave was full with purchases and it was time to return to the award ceremony. 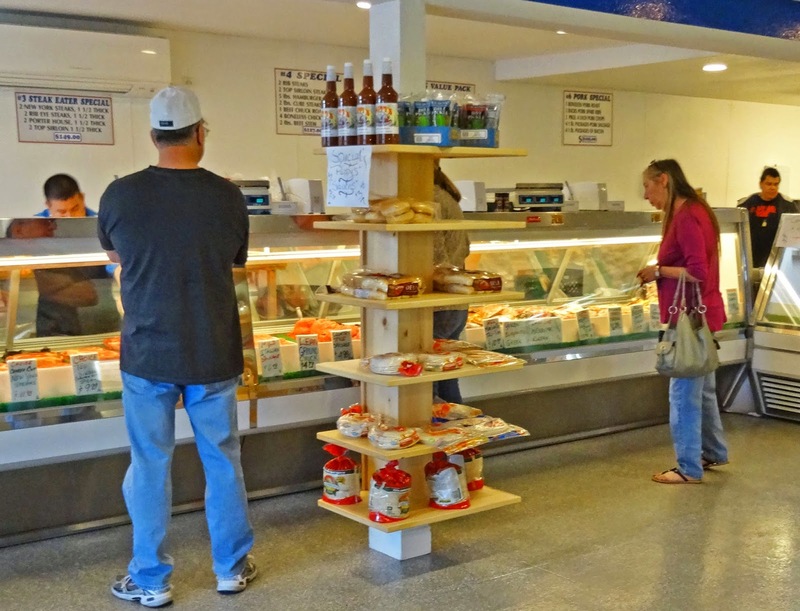 Blue Ribbon Meat & Butcher Shop has been serving locals in the Sparks area since 1946. 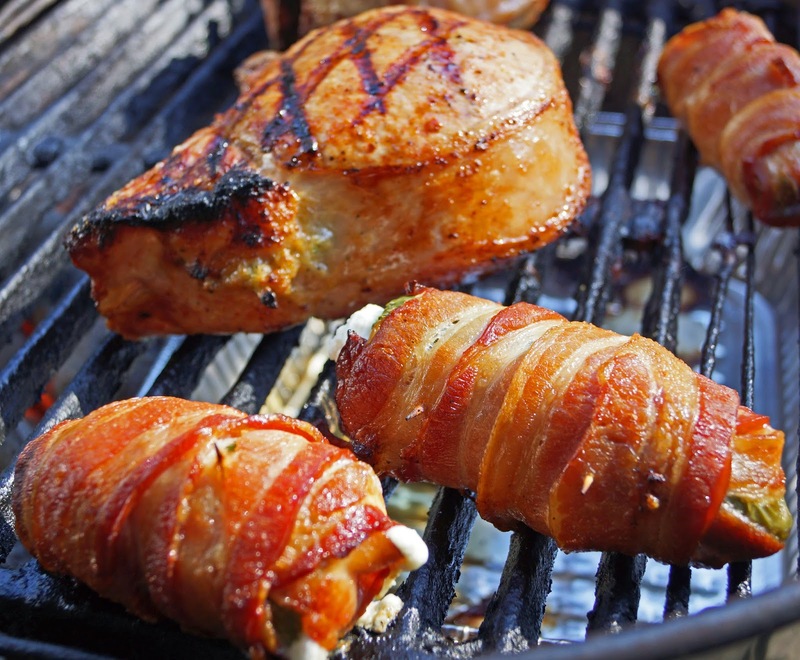 The pork chops and bacon wrapped jalapeno poppers turned out to be a very tasty choice. The next time we want to do a little gambling in Reno, a sure bet can be found at Blue Ribbon. Thanks Great White Hunter. Three Dogs BBQ, I had some Lowensenf the other day that did not seem to be as hot as usual. I wonder if it varies, the hotness per batch? I have had it take my breath away before but not this time. The stuffed chops were very yummy.